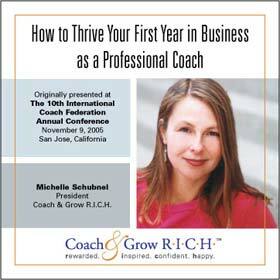 Michelle Schubnel Interviews Christian Mickelsen - Coach & Grow R.I.C.H. 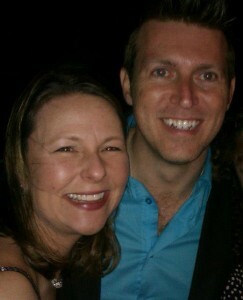 Stay Tuned And I’ll Let You Know When Christian Opens Up Enrollment Again In 2016. And even more important… Exactly what YOU can do to avoid the mistakes and instead enjoy signing up loads of awesome new coaching clients! Click Here and Sign Up for “Free Sessions That Sell” and Receive All of Christian’s Bonuses PLUS Michelle’s “Get More Clients” Bonus Package (a $5,000 value). 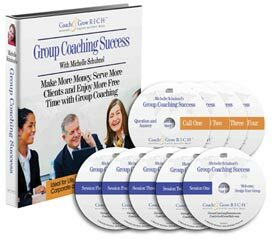 In this private session you’ll tap into Michelle’s 13+ years of experience to help you accelerate the implementation of what you will learn from Christian’s program along with all the bonuses you receive in the “Get More Clients” Bonus Package. After you enroll email us your receipt and request the Bonus Upgrade so we can hook you up with your extended private strategic coaching session with Michelle!